Gather the family and bring your blankets and chairs to catch a free movie anywhere throughout the county all summer long. Wednesday show dates will have a Thursday rain date, Friday show dates will have a Saturday rain date, unless otherwise noted. All shows begin at Dusk (8:00-8:30). Movies are provided by the county and titles are chosen by each municipality. 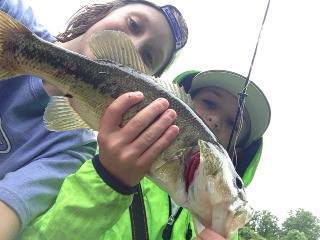 Ella Harris Park, 155 Commissioners Rd. Categories: Free Movies, New Jersey | Tags: 2015 Free Movies, Family Fun, Free Family Activites, Free Family Movies, Gloucester County, Kids, Kids Free, New Jersey Free Movies, Park Free Movies | Permalink. 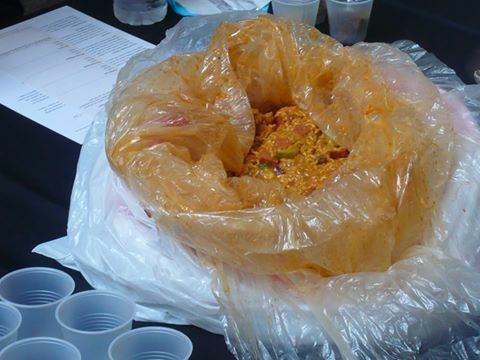 One of the wackiest, fun-filled, free family activities is scheduled to take place Sunday, June 14, starting at 11:00 a.m., at the American Visionary Art Museum (AVAM) in Baltimore, Maryland. Totally human powered works of art have been designed to travel on land, through mud, and over Baltimore Harbor waters at the prompting of the AVAM. Those of you who haven’t had the opportunity to join in the madness over the last 14 years have missed a folly -illed afternoon cheering on teams of eccentric artists and lunatic geniuses. They’ve teamed up to craft mobile art machines out of bicycles, gears, old flotation apparatuses and whatever other nonsense they can find in their garages, basements or recycling centers. The devices can be simple, small crafts, piloted by one brave soul, or over 50 feet long, extremely well-engineered, sophisticated vehicles powered by a team of pilots. Pilots (“Kinetinauts”) compete for the most coveted GRAND MEDIOCRE EAST COAST CHAMPION AWARD (finishes right in the middle), and the highly prized NEXT TO THE LAST AWARD (finishes, well, next-to-last), and other serious trophies including ART, ENGINEERING, BEST BRIBES and more. The all-day race kicks off at 11:00 a.m. at American Visionary Art Museum. The museum’s staff worked closely with city officials to secure a new date for its annual competition of human-powered works of art, which has always been dedicated to the delight, communal participation; peace and love of Baltimore. This year’s race will be sporting an “Out of This World” theme in tribute to The Hubble Space Telescope, which recently celebrated its 25th anniversary at AVAM. 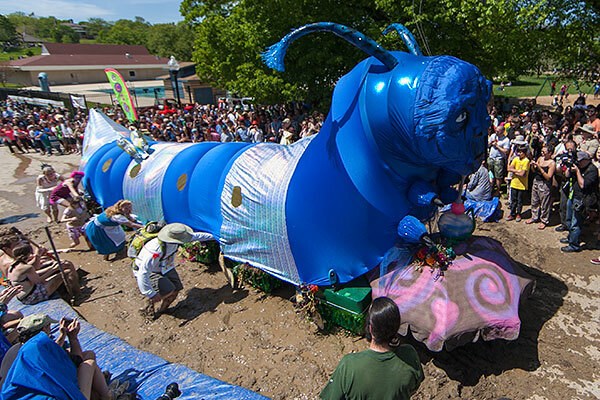 For all official Kinetic Sculpture Race updates, follow: KineticBaltimore.com. 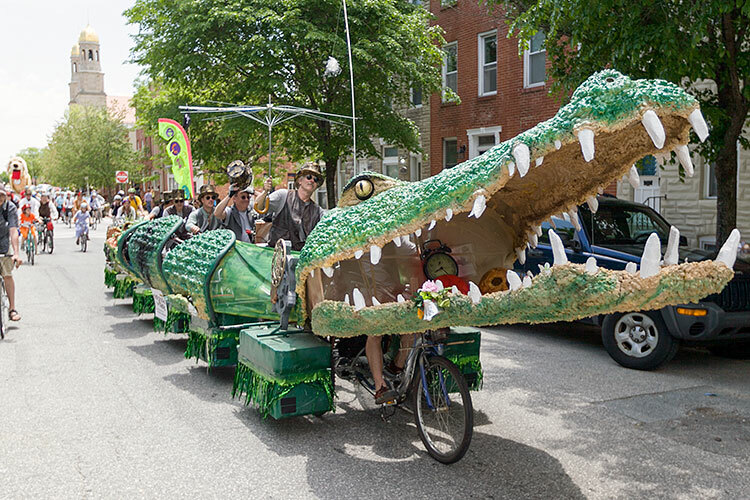 Categories: Baltimore, Maryland | Tags: Adventure Travel, American Visionary Art Museum, Art Event, Art Machines, AVAM, Family Fun, Free, Go Ask Alice, Kids, kinetic sculpture, Kinetic Sculpture Race, Tic Toc the Croc | Permalink. 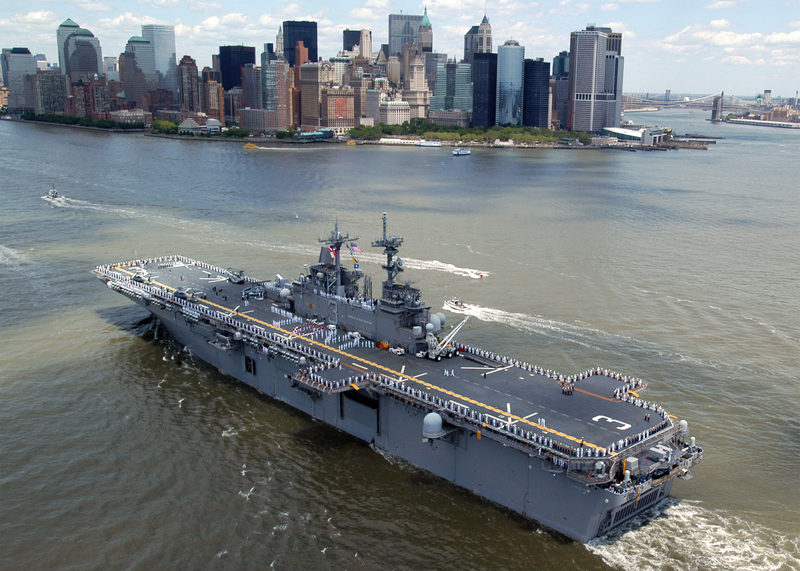 Fleet Week New York, now in its 27th year, is scheduled to take place May 20-26, 2015. The weeklong celebration is the city’s time-honored celebration of the sea services, and an unparalleled opportunity for the visitors from the Mid-Atlantic region to meet Sailors, Marines and Coast Guardsmen, as well as witness firsthand the latest capabilities of today’s maritime services. Fleet Week New York has been held nearly every year since 1984, and it is anticipated that nearly 1,500 Sailors, Marines and Coast Guardsmen will participate this year. In addition to public visitation of participating ships and military band concerts, there will be numerous exhibits and aviation demonstrations throughout the week showcasing the latest technology of the maritime services and the skilled expertise of our dedicated service members. Or, you can take a “Selfie With a Sailor” to send to all your friends. Three U.S. Navy (USN) ships, four U.S. Naval Academy (USNA) Yard Patrol boats, and two U.S. Coast Guard (USCG) cutters will participate in the 2015 Fleet Week New York, beginning with the Parade of Ships, May 20. 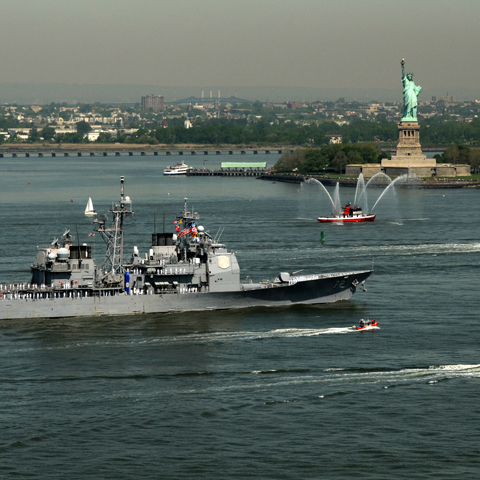 Public visitation on USN ships and USCG cutters in Manhattan and Staten Island begins Thursday, May 21 and continues through Monday, May 25; 8 a.m. to 5 p.m. daily. Public visitation on USNA Yard Patrol boats runs Thursday through Friday, May 22; 10 a.m. to 5 p.m. daily. Visitors are reminded that lines may be capped early so that the last people in line have an opportunity to complete their tours. USS San Antonio (LPD 17) and USCG cutter Spencer (WMEC 905) will be moored at Pier 92 in Manhattan; USS Barry (DDG 52), USS Stout (DDG 55), and USCG cutter Sturgeon Bay (WTGB 109), will be moored at The USS Sullivans Pier at the Staten Island Homeport; and the USNA Yard Patrol boats will be moored at Pier 86 at the Intrepid Sea, Air & Space Museum. Spencer and the USNA Yard Patrol boats are scheduled to depart on Saturday, May 23. Visitors should plan to wear comfortable clothing and shoes. All bags and/or camera cases will be searched prior to entering. Ships are considered an industrial environment and guests are encouraged to avoid open-toed sandals, high-heels, necklaces or other items that can get caught, as well as bags that are too heavy to carry comfortably. Sunscreen and/or sunglasses are advised. There is no age requirement to tour USN, USNA and USCG ships during Fleet Week New York, however, adult visitors over the age of 18 are required to show a valid state or federal issued picture I.D. prior to touring. Additionally, tours may not be appropriate for small children or those with certain medical conditions. Strollers or baby carriages are permitted on the pier, but not allowed on the ships. USN, USNA and USCG ships are not handicap accessible. The pier facilities in both Manhattan and Staten Island – including the exhibit, observation, refreshment, and restroom areas – are handicap accessible. Photography is permitted aboard the ships during tours, however, photos of security personnel or procedures are prohibited. Bottles, cans or containers of any type; banners, posters or signs of any type; mace, pepper spray, or other defensive sprays or chemicals; knives, firearms, fireworks or any explosive; illegal drugs or paraphernalia; flammable liquids or aerosol spray cans; club weapons; and animals are not permitted. Smoking is also not permitted aboard any ship or anywhere near the piers. The USN, USNA, and USCG reserve the right to prohibit other items not listed above. Food will not be available on the ships, but visitors will be able to purchase bottled water and some food items at concession stands on the piers. In addition to public visitation of participating ships, there will be numerous exhibits and aviation demonstrations throughout the week showing off the latest technology of the maritime services and the skilled expertise of our service members. • Noon – 12:30 p.m., Coney Island, New York – U.S. Coast Guard (USCG) will conduct a Search and Rescue demo in the water off of Coney Island for visitors to see. Event is free and open to the public. • 10 a.m. – 2 p.m., Eisenhower Park, East Meadow, New York – USN (10 a.m. – noon, including MH-60S helicopters) and USMC (noon – 2 p.m., including MV-22 Osprey, CH-46E Sea Knight, and AH-1W SuperCobra aircraft) will display aviation and operational equipment. USN EOD personnel will also be in attendance. 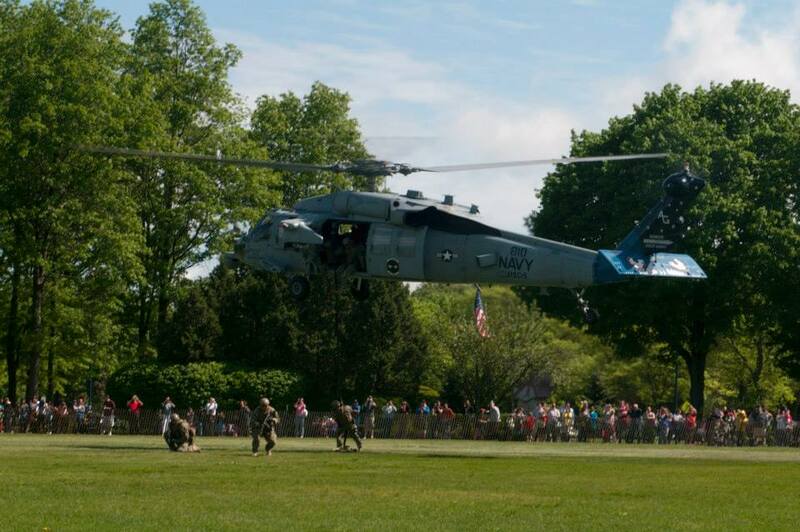 After the air demo, USN and USMC helicopters will land and be available for display. U.S. Navy Band Northeast “Show Band” will perform. Event is free and open to the public. • Noon – 12:30 p.m., Pier 92, Manhattan, New York – USCG will conduct a Search and Rescue demo in the water off of Manhattan for visitors to see. Event is free and open to the public. • 11:30 a.m. – 4 p.m., Rye Playland, Rye, New York – Event will include a ceremony in honor of Memorial Day at 11:45 a.m. followed by a barbecue for veterans and their families. A USMC Aviation/Marine Air-Ground Task Force demo will take place from 2 – 4 p.m. including MV-22 Osprey, CH-46E Sea Knight, and AH-1W SuperCobra aircraft. Event is free and open to the public. • Noon – 12:30 p.m., USS The Sullivans Pier, Staten Island, New York – USCG will conduct a Search and Rescue demo in the water off of Staten Island Homeport for visitors to see. Event is free and open to the public. • 1:30 – 2 p.m., Pier 86, Manhattan, New York – USCG will conduct a Search and Rescue demo in the water off of the Intrepid Sea, Air & Space Museum Pier for visitors to see. Event is free and open to the public. • 2 – 5 p.m., Glen Island Park, New Rochelle, New York – USMC Aviation/Marine Air-Ground Task Force demo including MV-22 Osprey, CH-46E Sea Knight, and AH-1W SuperCobra aircraft. The event will showcase airborne insertion and extraction of aircraft with combat equipped Marines. Event is free and open to the public. • 11 a.m., Intrepid Sea, Air & Space Museum, Manhattan, New York – A missing man formation aerial salute comprised of FA-18 Super Hornets based out of Naval Air Station Oceana in Virginia Beach, Va. will be performed in conjunction with the Intrepid Memorial Day Commemoration at Pier 86. • 1:10 p.m. Citi Field, Flushing, New York – Two FA-18 Super Hornets based out of Naval Air Station Oceana in Virginia Beach, Va. will fly over the annual New York Mets/USO Military Appreciation Day at Citi Field, signifying the start of the game. The Mets will take on the Philadelphia Phillies. The Joint Service Color Guard will present colors, and a member of Navy Band Northeast will sing the national anthem. In addition to showcasing the world’s largest maritime force, the U.S. Navy and U.S. Marine Corps (USMC) are scheduled to host a variety of music concerts featuring Navy Band Northeast and the USMC Band, May 18-25, in celebration of the 2015 Fleet Week New York. • 4 – 5 p.m., Brooklyn Central Library, Brooklyn, New York – Navy Band Northeast “Pops Ensemble” will perform a public concert at the Brooklyn Central Library, located at 10 Grand Army Plaza. Comprised of 35 talented professional Navy musicians from across the country, the band performs a wide variety of musical styles, specializing in traditional concert band literature, popular standards, jazz and patriotic favorites. Event is free and open to the public. 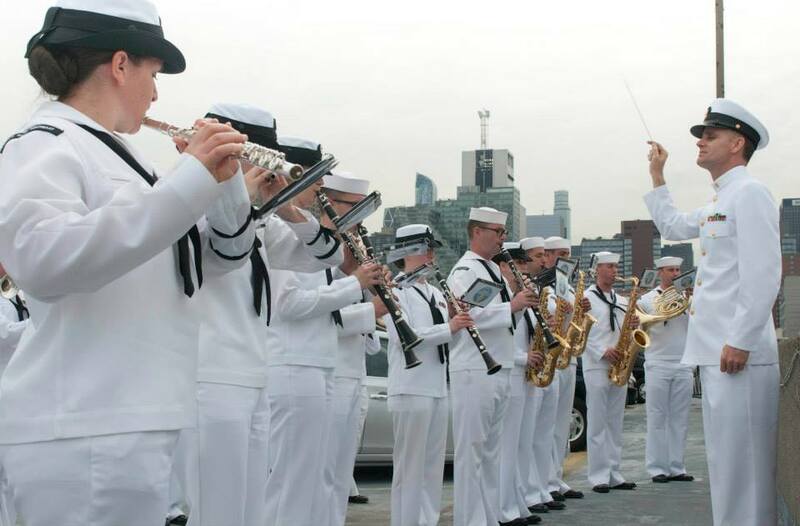 • 12:30 – 1:30 p.m., Bryant Park, Manhattan – Navy Band Northeast “Pops Ensemble” will perform. Comprised of 35 talented professional Navy musicians from across the country, the band performs a wide variety of musical styles, specializing in traditional concert band literature, popular standards, jazz and patriotic favorites. Event is free and open to the public. • 6:30 a.m. – 7 p.m., Bryant Park, Manhattan – USMC will host Marine Day in Bryant Park featuring boot camp style exercise session (6:30 a.m.), followed by USMC displays, demonstrations and a performance by the USMC Band. Event is free and open to the public. • 5 – 7:30 p.m., Military Island, Times Square – Navy Band Northeast’s “Rhode Island Sound” and the USMC Band will perform at Military Island in Times Square. The U.S. Coast Guard (USCG) Silent Drill Team will also perform. Line-up: USCG Silent Drill Team – 5 – 5:30 p.m.; Navy Band Northeast’s “Rhode Island Sound” – 5:30 – 6:30 p.m.; USMC Band – 7:00 – 8:00 p.m.. Event is free and open to the public. • 10 a.m. – noon, Eisenhower Park, East Meadow, New York – Navy Band Northeast “Brass Band” will perform. Event is free and open to the public. • 5 – 6:30 p.m., Military Island, Times Square – Navy Band Northeast’s “Rhode Island Sound” will perform at Military Island in Times Square. The USCG Silent Drill Team will also perform. Line-up: USCG Silent Drill Team – 5 – 5:30 p.m.; Navy Band Northeast’s “Rhode Island Sound” – 5:30 – 6:30 p.m. Event is free and open to the public. • 1 – 2:30 p.m., Military Island, Times Square – Navy Band Northeast’s “Brass Band” will perform at Military Island in Times Square. The USCG Silent Drill Team will also perform. Line-up: Navy Band Northeast’s “Brass Band” – 1 – 2 p.m.; USCG Silent Drill Team – 2 – 2:30 p.m. Event is free and open to the public. • 1 – 5 p.m., Fleet Week New York Community Music Festival, Flagship Brewery, Staten Island, New York – Navy Band Northeast’s “Rhode Island Sound” will perform from 3:30 – 5 p.m. Local bands will also perform. Event is free and open to the public. • 1:10 p.m. Citi Field, Flushing, New York –The Mets will take on the Philadelphia Phillies. The Joint Service Color Guard will present colors, and a member of Navy Band Northeast will sing the national anthem. For up-to-date information on all Fleet Week events, visit the official Fleet Week New York website at http://www.fleetweeknewyork.com, “Like” FleetWeekNewYork on Facebook, or “Follow” @FleetWeekNYC on Twitter. Fleet Week New York photos can be viewed on Flickr at http://www.flickr.com/photos/fwnypao. Join the conversation on social media by using #FleetWeekNYC. Categories: Free Admission, New Jersey, New York | Tags: "Selfie With a Sailor", 2015 Fleet Week New York, Family Travel, Fleet Week, Fleet Week Band Concerts, Fleet Week Demonstrations, Fleet Week Exhibits, Fleet Week Parade of Ships, Fleet Week Participating Ships, Fleet Week Security Requirements, Fleet Week Ship Tours, Fleet Week Ships, Fleet Week Tour Schedule, Kids, Mid Atlantic Region, Mid Atlantic Travel, New Jersey, New York | Permalink. Trying to plan another snow day activity for kids out of school? 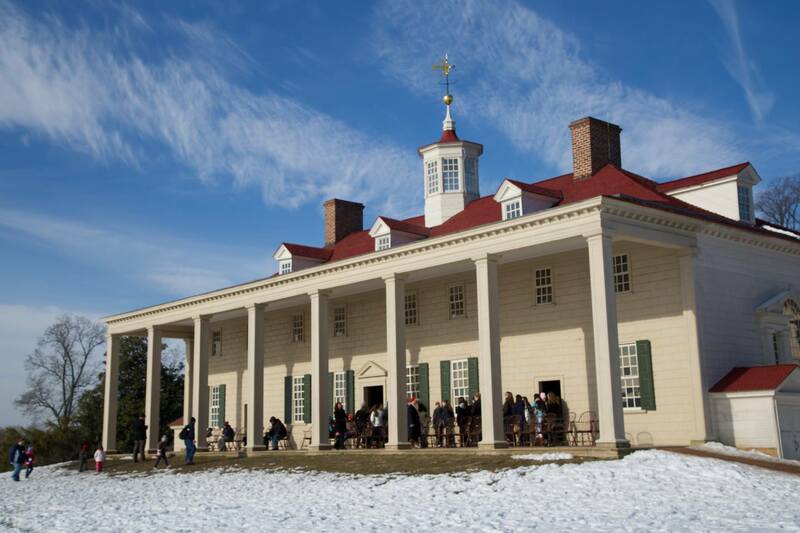 Mount Vernon will open today, March 6, 2015 at 11 a.m., and they’re extending their special Teacher Work Day offer to local parents. On Friday, March 6, and Monday, March 9, pay for an adult admission and bring up to 2 kids ages 18 and under for free. Mention this offer at the gate or use promo code WORKDAY2015 to book online. 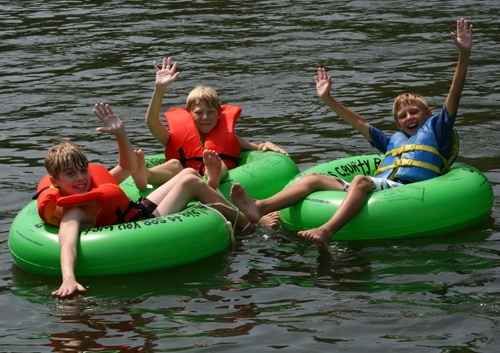 Categories: Family Travel, Virginia | Tags: Discount Admissions, Discount Tickets, Family Travel, Kids, Mid Atlantic Region, Mid Atlantic States, Mid Atlantic Travel, Mount Vernon, Snow Day, Virginia | Permalink.